Pay Per Click (PPC) is a foolproof way to streamline quality traffic to your website. It makes your website visible. Our qualified team crafts apt keywords after a thorough analysis of your business. We place Adwords in the form of catchy key phrases on your website. We help set up your accounts in new PPC networks with appropriate keywords that will bring in more customers. We also deliver prompt reports of your account’s performance, according to your requirement (daily, weekly, or monthly basis). With Dwij IT Solutions, you can be sure that your PPC advertising campaigns run well on track. Audiences today have no time and a limited attention span. It takes more than just a regular ad to get the ball rolling. 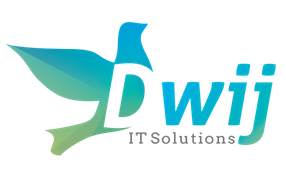 Dwij IT Solutions crafts PPC advertisements that strike the right chord with your audience, and are instantly lured to pay your website a visit. PPC is a guaranteed way to derive quality traffic to your website.